I've played Animal Crossing games. 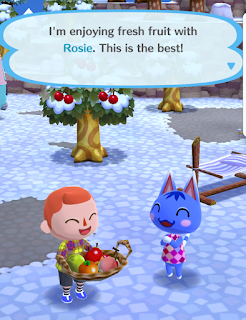 I know Animal Crossing. Animal Crossing is a friend of mine. 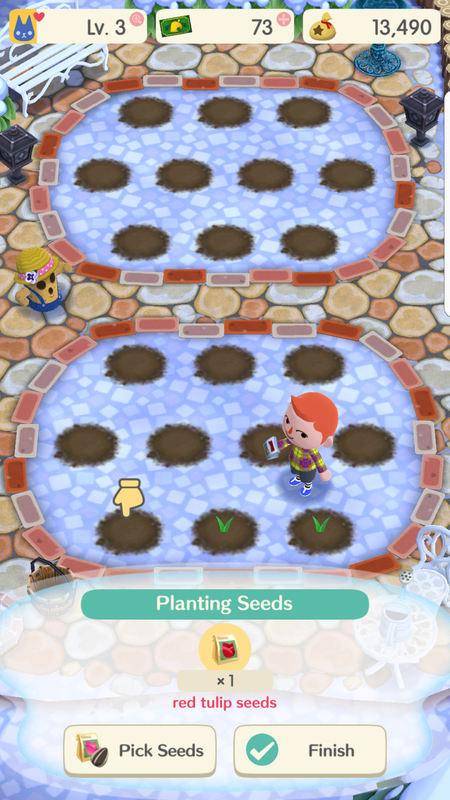 And Nintendo, I'm here to tell you, this mobile app game...well, it's still Animal Crossing. But it's an extremely abbreviated, less dynamic, more plodding version of it. 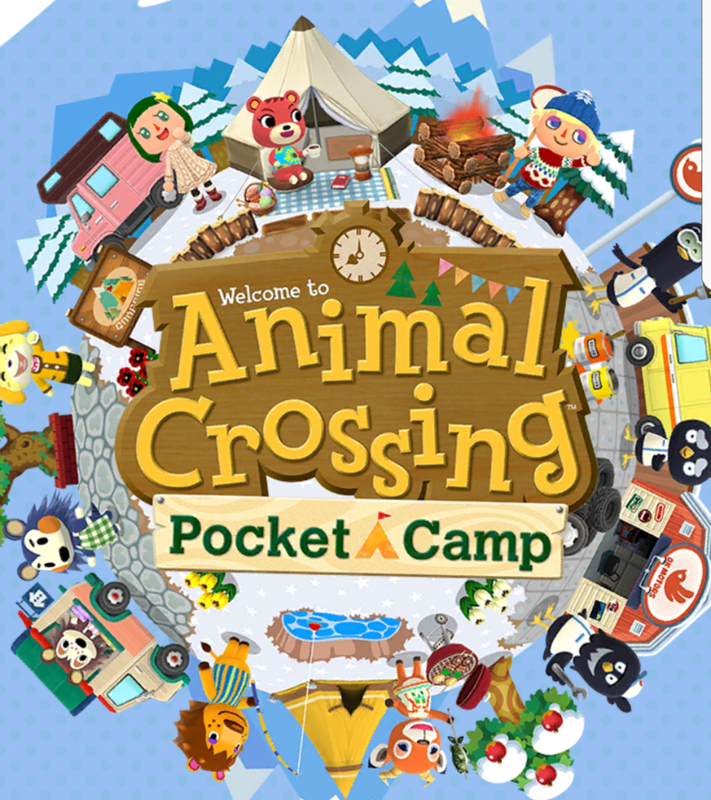 Now that Nintendo has proved the concept of adapting a few of their properties for the iOS and Android platforms, Animal Crossing was a fairly straightforward choice. The pastoral, comforting, exploratory tone of the series lends well to those moments during the day when you just want to check out and go tap-tap on your mobile machine. 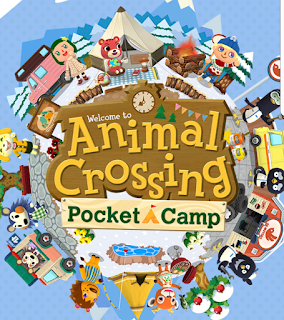 For the casual phone gamer, Animal Crossing: Pocket Camp is an extremely casual game. Doesn't get more casual than this. I'll be honest, I was ready to slip into this game like a warm bath as soon as the cheery music and adorable character designs kicked in. It very successfully translates the series aesthetic to mobile, and the fact that this is possible while integrating the necessary micro-transactions and extensive menu systems that the platform demands, without ruining the charm...that's impressive. I dare say that on a cold January morning, waiting for my car to heat up and the windows to defog, I wanted nothing more than to hit the road, stake up a tent, and go fishing. It also functions as a really great gateway to the rest of the series, if say you had never touched them and wanted a light primer for what Animal Crossing is all about. The missing aspects of the series are really missed, though. Exploration is less of a factor, with the map understandably stripped down to a more manageable size. Such a first-world complaint, but I couldn't help being a little surprised every time I reached the very modest limits of a map area and got an automatic "Do you wish to leave?" message. And while your animal NPC friendos are all visibly adorable and relentlessly chipper, they lack the unpredictable individual personalities that made the "friend simulator" aspect of previous entries so entertaining. What might have been an off-the-wall aside or a kooky argument from a character has been sanded down to the typical mechanic-specific exposition or instruction. 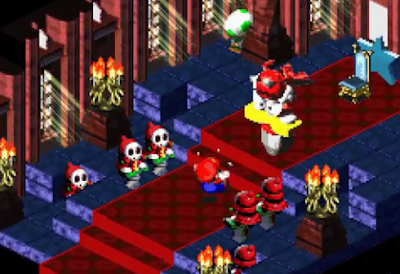 Occasionally you might get a cute nickname or a fun, consistent speech pattern from a character, but don't be surprised if it's repeated by another one down the line. The sense of a tiny simulated community can erode into a series of mundane fetch-quests pretty easily if writing and presentation is sacrificed in the name of simplifying and streamlining the formula. For campers, y'all are real concerned about which style of sofa to chill on. 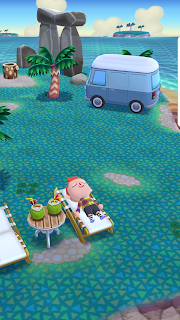 Mechanically, Pocket Camp plays just great. It's a simple tap to perform just about any action, and exchanges are never complicated by menu navigation or backtracking. The menu displays are never daunting, and the loading times are quite reasonable. I find it a little redundant that rewards from fulfilled goals are not given directly to the player, but instead stockpiled into a mailbox, where if not collected they evaporate after an amount of time. The interface for placing and selecting furniture in your camp and camper is a little finicky, but that's just the limits of imprecise touch controls and my big ol' sausage fingers. Something I was very happy to see was a camera mode, which gave me the opportunity to change angles and frame photos nicely, and then either save them to my device or share to social media. 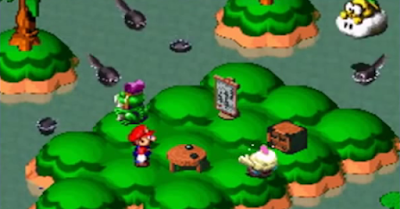 That's another thing: the social mechanics with other human players seem as easy as those with the NPC animals. 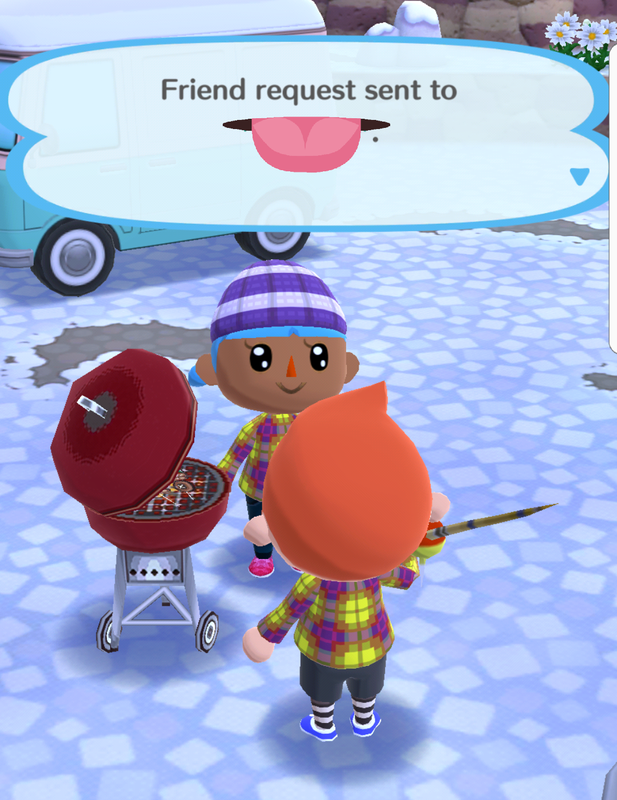 Sending a friend request and visiting someone else's campsite is one easy click. The marketplace exchange system is simple enough, but I can't help wondering if it's worth the time, considering the limited variety of items and resources. Speaking of items and resources, the inevitable use of micro-transactions is less intrusive than most mobile games. While the standard for multiple currencies and multiple in-game resources is present, there doesn't seem to be much you can't do with the abundant standard currency (bells), and the premium currency (leaf tickets) appears to be most useful just in circumventing the wait time on crafting items that could take many hours to finish. Honestly, when the premium currency is used for things like that, I have no problem with it. But when you hit a plateau on free content, and suddenly items skyrocket in price or only become available through the premium currency, that's less an invitation to spend real money than it is a demand for a mandatory tribute in order to keep playing. 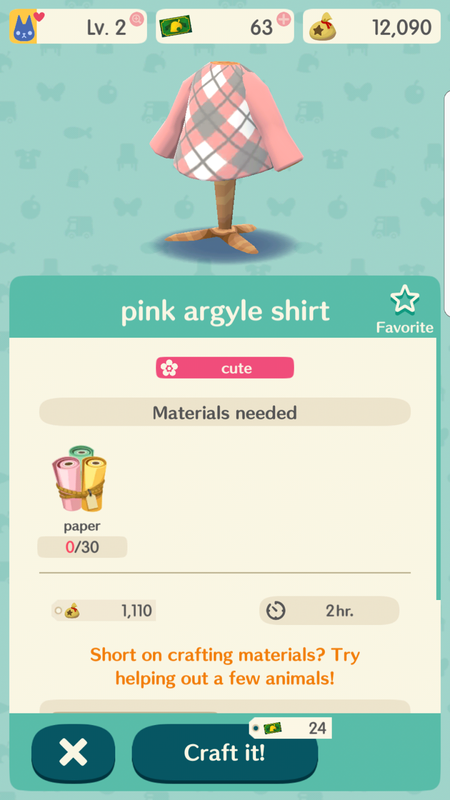 That exists here in Pocket Camp, within the first 15 levels. That's disappointing, and a real harshing of the game's mellow. But hey, that's also a business model, and it's one that works. It figures the only shirt you can afford at Level 2 is...this. 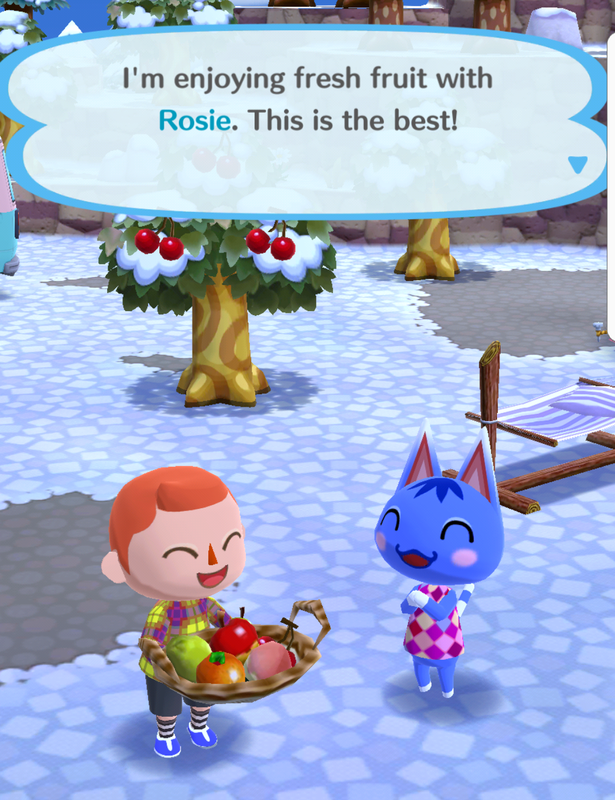 The over-arching success of Pocket Camp is that it still manages to give the player the option of what to focus on; if you want to grind through the fetch requests and furniture crafting in order to get all the animals to visit your campsite, that's the main game, but if you just want to collect all the variants of fish and bugs by wandering around aimlessly, that's perfectly valid. 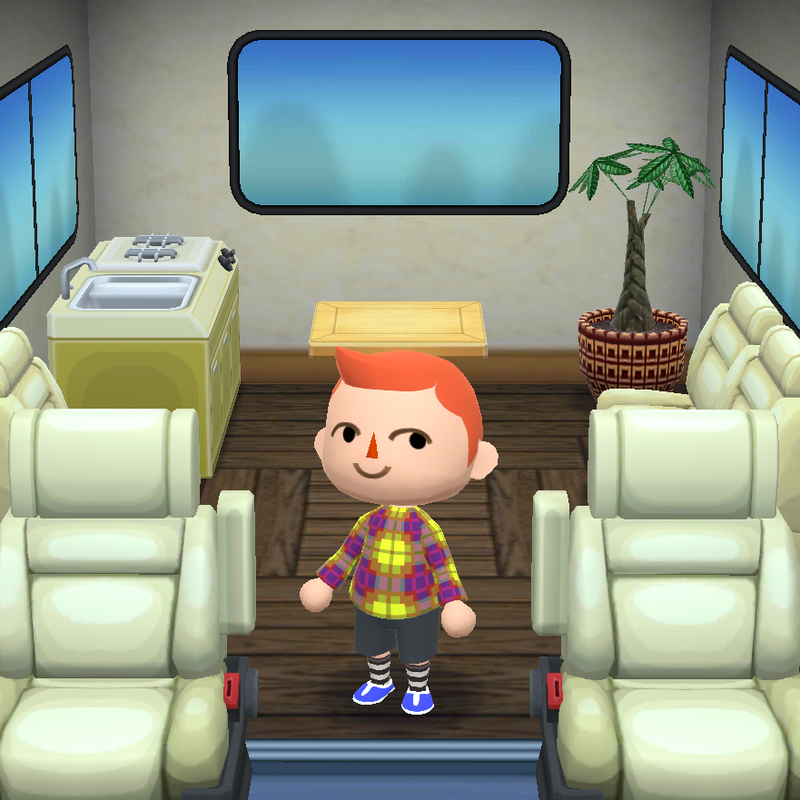 And if you just want to build a campsite with all the furniture and amenities that are exactly "you," and complete it with an outfit for your avatar that suits your style and sensibilities, that's a great way to spend your spare time. 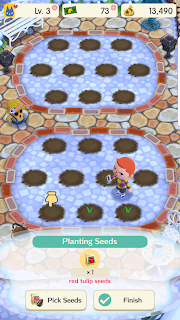 And if you've just discovered that a digital garden is a very easy way of reducing stress and finding your Zen center, you get one of those, too! Complete with cross-pollination and everything. I mean, come on. This is cute. While the limits of the game are pretty apparent, a lot of it can be fixed by continuous updates, much the way Pokemon GO has ironed out a lot of kinks since the initial launch. 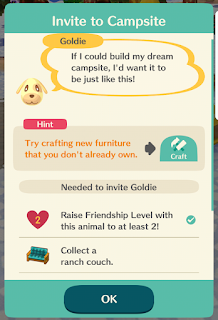 Maybe I'm just a huge nitpicker, but the missing details and charmingly off-beat personality of the series keeps Pocket Camp firmly in the realm of "amiable time-waster" rather than a proper entry in the series or any kind of killer-app status. But when a game is largely concerned with giving you a fuzzy, positive space to just hang and be yourself however you want to, can you ask for much more?